Become an SNOL Sustainer Today! 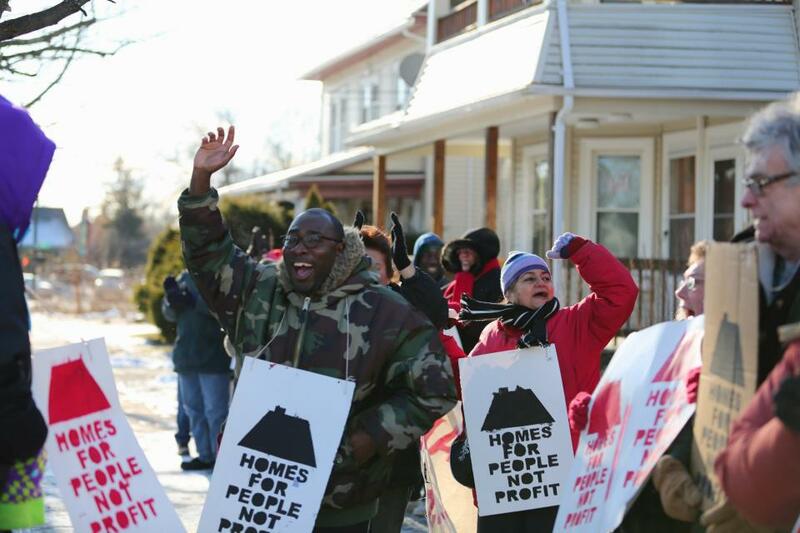 Springfield No One Leaves/Nadie Se Mude relies on grassroots support to organize creative, bold and visionary campaigns for housing and economic justice. By joining the SNOL/NSM Sustainer Circle you stand in solidarity with SNOL members fighting back against displacement and for systemic change! Become a Sustainer by giving as little as $10 per month, or consider making a larger monthly or quarterly donation that you can afford! Keep Families in their homes by supporting our Anti-Eviction Campaign to defend against post-foreclosure evictions in the greater Springfield area. Train & Develop Member-Leaders & Organizers by supporting the SNOL/NSM People’s School: A political educations & leadership development program to empower our members in becoming leaders in the movement. Reclaim & Rebuild Our Community by supporting our Turn On The Lights Campaign to organize Springfield residents to liberate vacant land & housing to build community-controlled resources! Fight for Homes For All by supporting our collective work with the Right To The City Alliance to win affordable community-controlled housing for all people and make sure that housing is for the people not for profit. Keep SNOL/NSM healthy and ensure that we can continue to carry out visionary tactics & campaigns that challenge the root causes of economic, racial and social inequality. YES! I WANT TO BE A SNOL SUSTAINER! Please fill out the form below and click submit. You will be re-directed to our Just Give donation page where you will be asked to submit your payment information. Please check the box “Make This a Monthly Recurring Donation” to become a sustainer! Thank You! Springfield No One Leaves is a member-led community organization dedicated to organizing families most affected by the economic & foreclosure crisis. We organize against displacement and eviction and to defend our homes and our communities. Springfield Nadie Se Mude es una organización comunitaria dirigida por nuestros miembros y dedicada a organizar residentes más afectados por la crisis económica y de ejecuciones hipotecarias. Organizamos contra desplazamiento y desalojo y para defender nuestros hogares y nuestras comunidades. This entry was posted in Home Page SlideDeck, Uncategorized. Bookmark the permalink.